Trainer Reade Baker recounts an amazing career. Can you imagine being a little kid and getting a pony for Christmas? 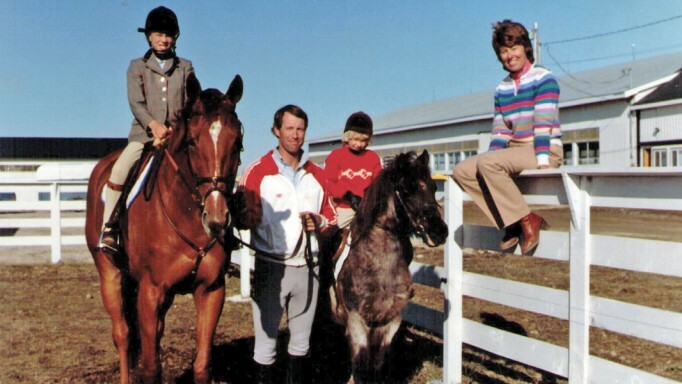 Trainer Reade Baker has the Christmas pony story of all time. His bachelor uncles actually wrapped a pony in a box and proudly put it in the living room. As his Uncles looked on with big smiles, Baker unwrapped his present and quickly wrapped his arms around the neck of Lady, his new Shetland pony. His sisters were standing behind the box and there was a great deal of Christmas wrapping paper strewn all over the living room. One of his uncles had found Lady in Toronto and bought her for $35 and brought her to the farm after he took the back seat out of his Buick. Baker had lived a very rural life. At 14 years old, he had never been in a restaurant. At 24 years old, he had never been on an airplane. His sense of adventure thought that an extremely turbulent flight was like a ride in the carnival. His mom fretted about the impact that horses and horse racing were having on his life. They felt that they had to do something to keep him in school. So they found the most reasonably priced Catholic boarding school for $1,200 a year and sent him to St. Jerome’s in Kitchener, Ontario. One thing that most horse people have in common is that no matter what path they took, no matter how many detours happened, there is one thing that is for certain. If they were meant to spend their life with horses, then no matter what roadblock is in their way, the path to horses will happen. Ironically, he was sent to boarding school to get him away from horses. Instead, Baker found himself sitting in the classroom next to two young men and they became immediate friends due to their connections with horses. First, there was the horse trainer’s son who grew up to be a veterinarian. They are still friends today and he is Baker’s stable veterinarian. The second friend’s father was General Denis Whitaker, who served as the chairman of the Canadian national equestrian team and the master of the Hambledon Hunt. He would go to their home and ride horses. Baker was working at the track in the summer. Baker’s parents passed away when he was 18. In a moment of reflection, he lowered his head and gazed forward looking over the top of his tinted glasses. He started to explain how he made the leap from going to school to working at the track full time. He said “So” and his voice ever so quietly caught. He tried again. “So, really; I didn’t have anyone to push me to stay in school.” Ironically, today when asked if he has any advice for young people who want to work in horse racing, he immediately says “stay in school.” And counsels that they would do well to train to become a veterinarian as they could help horses and even have a day off, which is a rarity for a horse trainer. When Smythe passed away, Baker honored his mentor by purchasing his silks. As explained on the Baker Racing website “The colours are easily identifiable to Toronto hockey fans, as they resemble the blue and white uniform of the Toronto Maple Leafs. The colours are worn by the stable staff in the way of vests, jackets, hats and t-shirts.” Proudly, there is a white maple leaf on the corner of his blue saddle cloths. Unfortunately, Baker hurt his knee while galloping and embarked on a new phase of his career. He remembers this as a very enjoyable time of his life for six years when he was the jockey agent for Gary Stahlbaum, who became a leading rider. Baker is the sharp dresser in the photo with Stahlbaum as they hold up their three fingers each to celebrate Stahlbaum’s record setting six wins in one day at Fort Erie. Baker also represented jockeys Ron Hansen and Avelino Gomez. All three were Sovereign Award winners. Horse racing can be a tough life. To make ends meet, Baker worked as a mutuel teller in the afternoon in the grandstands. He was a bloodstock agent. He also went to the airport and picked up lobsters and delivered them. 1985 brought a new adventure into his life. He started working as racing manager for Rick Kennedy. This took him on a worldwide tour where he went to Kentucky, Dubai, Hong Kong and Australia to observe and learn from different racing outfits. 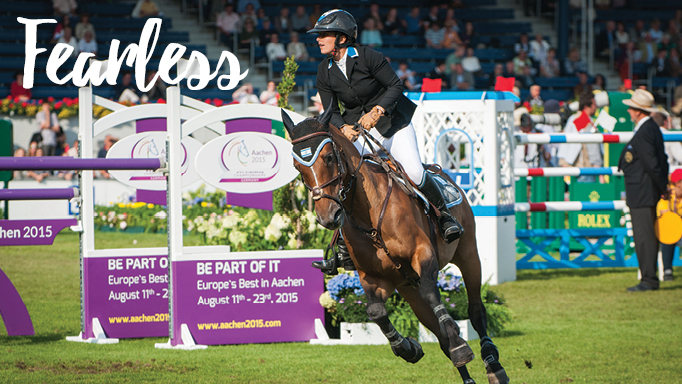 Kennedy best describes the amazing results of their relationship found in an interview in BloodHorse magazine. “Reade Baker was the main ingredient in the success of our homebred champion and Horse of the Year Afleet,” stated Kennedy. “Sure, I did the mating but from the time Afleet was a yearling. 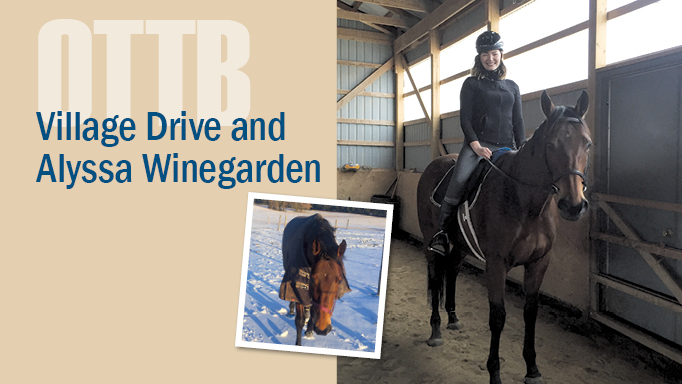 Reade oversaw his development; he put the stable team together and kept them together. Every race Afleet ran was part of Reade’s plan and then we capped the whole thing off with the successful syndicate of Afleet as a stallion prospect. The decisions were my responsibility but the concepts and the successful employment of such all originated with Reade. You could say I got the award [Afleet’s 1987 Sovereign Award as Canadian Horse of the Year] because I was smart enough to listen to Reade.” The 1980s were a hard time for the horse racing industry and the association was dissolved due to financial considerations. Continually landing on his feet and never shy about working hard, Baker started as a trainer with four horses in 1990. His wife, Janis Maine, was a working corporate executive who masterminded a yearly newsletter about their stable. They had met at the track when he was a jockey agent. She had come by to visit with a friend who rode a stable pony. He had asked for her phone number. It had to have been meant to be because they have been married for 36 years. Maine didn’t change her name when they were married and it didn’t bother Baker at all. He told her “It’s not an insult to me. It’s an honor to you.” When asked to describe her husband, Maine nods her head and starts and pauses as she lists his attributes. “He is kind, thoughtful, serious, and mindful. He’s also an animal lover.” After spending time with him, it is certainly apparent that he matches her description. Baker perks up at the mention of the inaugural years of the newsletter, sat up in his chair and said emphatically, “The newsletter changed my career!” When Baker’s stable was up to 12 horses, Maine thought, “Why am I working for another corporation when I could be building our company? Why don’t I take my skills and let’s work together.” At first, the newsletter was annual then biannual. It featured a message from Baker and highlights from the year. She added tips for breeding, featured owners and whatever appealed to owners. They built a mailing list of 250 in the United States and 300 in Canada. They ended up having a lot of clients coming to them. Maine attributes that success to the skills she learned in her corporate world. This was pre-internet and soon the newsletters were more frequent. 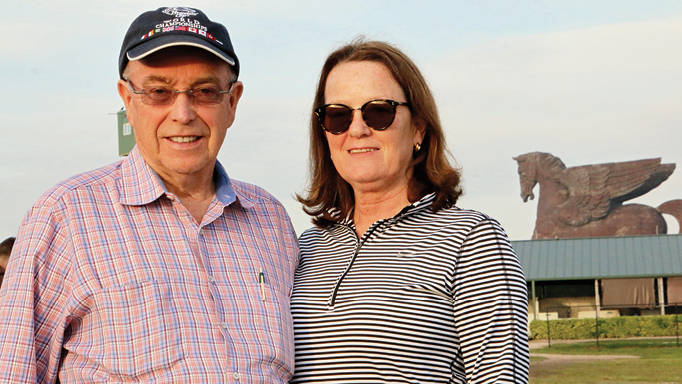 It took six years and their operation expanded to 45 stalls at Woodbine. Nowadays, their stable news has a website and updates are distributed through emails and Facebook. Maine has definitely made an impact through her marketing and corporate skills. Baker’s cell phone rings and it is a rather unusual ring tone for an internationally world-renowned horse trainer. In sets of three we hear QUACK, QUACK, QUACK. You can’t help but laugh as Baker, who professes to not be a techie, whips out his cell phone. Baker has been showing chickens for more than 20 years with various partners. Yes, there are show chickens! Is there an art to showing a chicken? He peers over his glasses in response, smiles and quips “Yeah! Get a good one!” That is obviously the show stopper of a response. Maine jumps in and explains that there are standards of perfection. A show chicken has to be washed and properly prepared. Baker emphasizes that if you have one crimpled feather, you are not going anywhere. This is new territory for most people. Can a chicken be trained? “You don’t need to train them. You put them in the cage and the judge comes along. Here is a little trick that I used to do. The week before the showing, feed them bread soaked in milk. And no feed overnight. You come in the morning and feed them. They will get used to a person coming there. Then, I would get somebody else who wasn’t me and they get used to another person feeding them. So when the judge comes at the show, they are standing up nice and perky and they are looking. Typically, if they have been with other chickens and the person comes they kind of cower in back. The judge won’t even bother judging that chicken. They got a lot of chickens to judge.” This tactic obviously works as there are dozens of photos on the Reade Baker website under “Poultry.” Baker stands proudly in a tuxedo with his champion chickens and ducks. They are beautiful, and he says with pride that one year he had the best chicken in America. Chickens can live for up to 10 years. He is sad they can no longer be allowed at Woodbine, which no allows goats, donkeys, dogs, cats or any other animal. Baker says that horses are infatuated with them. The chickens would be walking up and down the shedrow, and it gives the horses something to look at. Horses will stare at them for hours. “We have them locked up for hours. At least we could give them something to look at.” They can have chickens in New York but not at Woodbine. He saw Breaking Lucky as a yearling on a farm. There was something about him. He saw the pedigree and thought it looked familiar and wondered if he had trained a brother or sister. Then he realized that the pedigree is Canadian. He asked for the owner’s phone number and gave them a call. It was certainly an auspicious phone call because they said he could train him. Breaking Lucky arrived at Baker’s barn as a 2 year old. He was typically immature. Baker says that he has always been behind the other ones but he showed some talent right away. He is an easy horse to handle but will nip a little. He acts like a gelding and is not studdish at all. 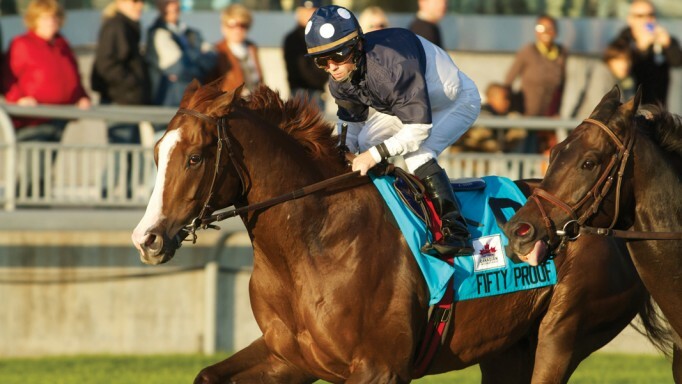 Baker thought that the Queen’s Plate Stakes at Woodbine was the race that showed his talent. Ironically enough, Shaman Ghost won the race. They came back at him and won the Prince of Wales Stakes. Breaking Lucky was second in the Clark Handicap at Churchill Downs and Shaman Ghost came in third. The Stronach Group offered Baker a flight home and they talked about the inaugural Pegas World Cup Invitational. Looking forward, Baker is setting course for Breaking Lucky to be entered in Keeneland’s Grade 3 Ben Ali Stakes on April 15th. He is also excited about Just Be Kind who is in training at Woodbine. The Sky Mesa filly has won two of her first four starts including the Ontario Debutante Stakes. Julie June Stewart is an accomplished writer who has been featured in the New York Times, America’s Best Racing and BloodHorse Daily. She is the National Aviation Program Manager in airspace coordination for natural disasters and is a singer and choir conductor. This article originally appeared on the America’s Best Racing website. This fearless Israeli show jumper forges her own path.